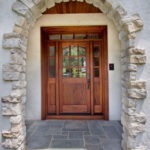 An entryway is one of the most important statement pieces in any home or business. 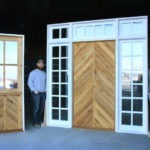 It serves as the connector between the exterior and interior, setting the tone as guests or customers walk indoors. 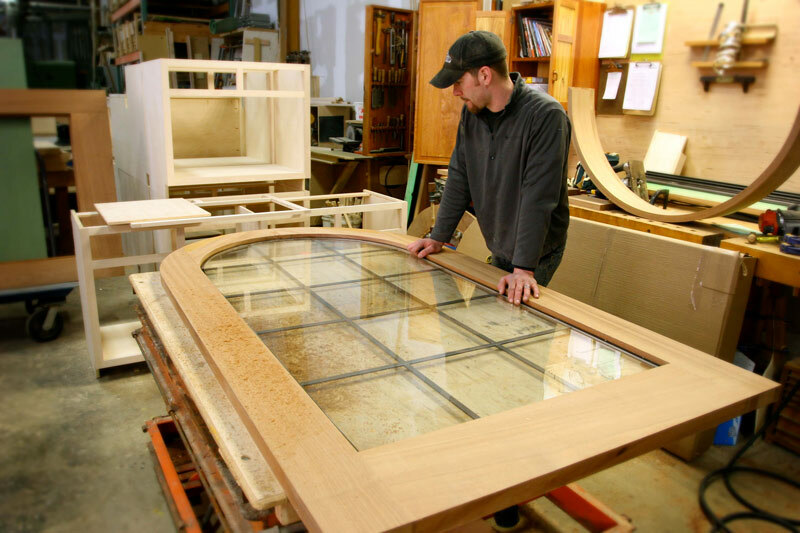 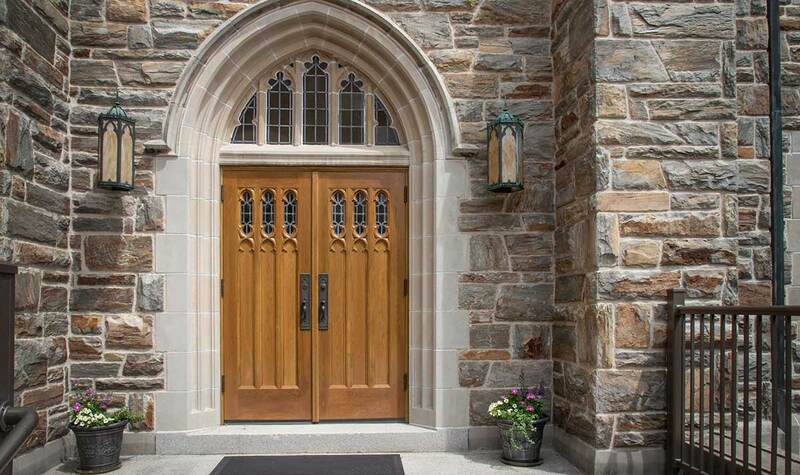 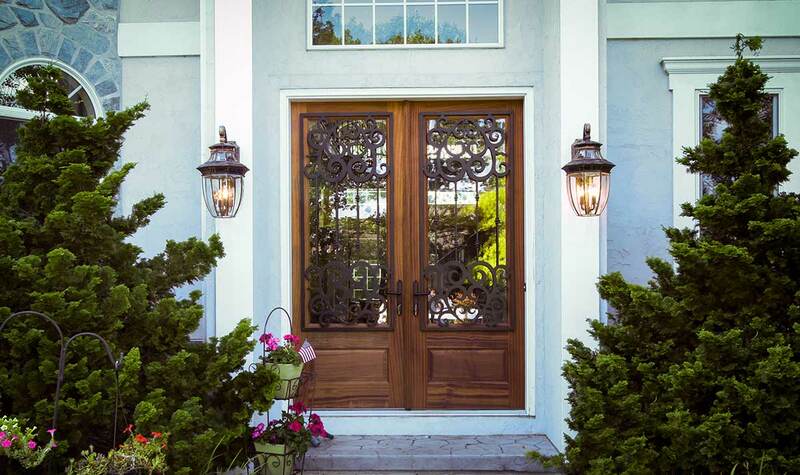 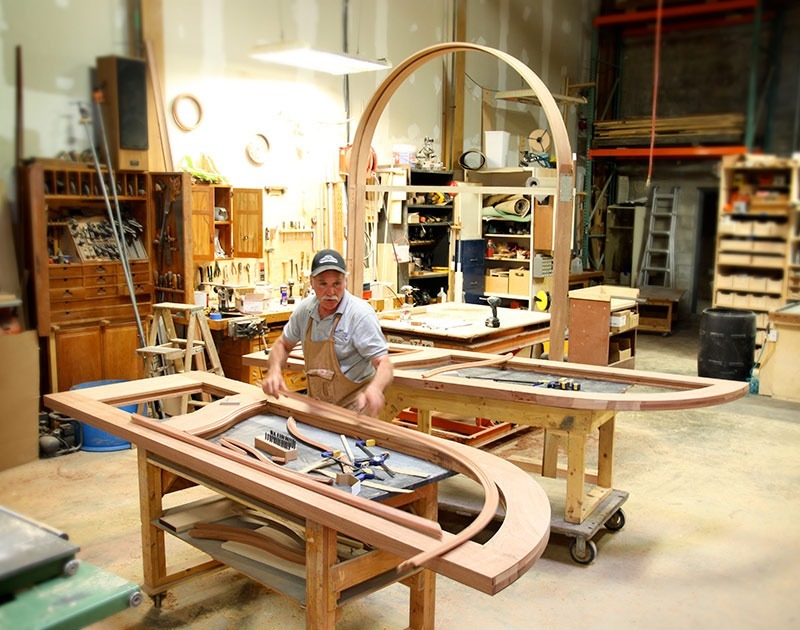 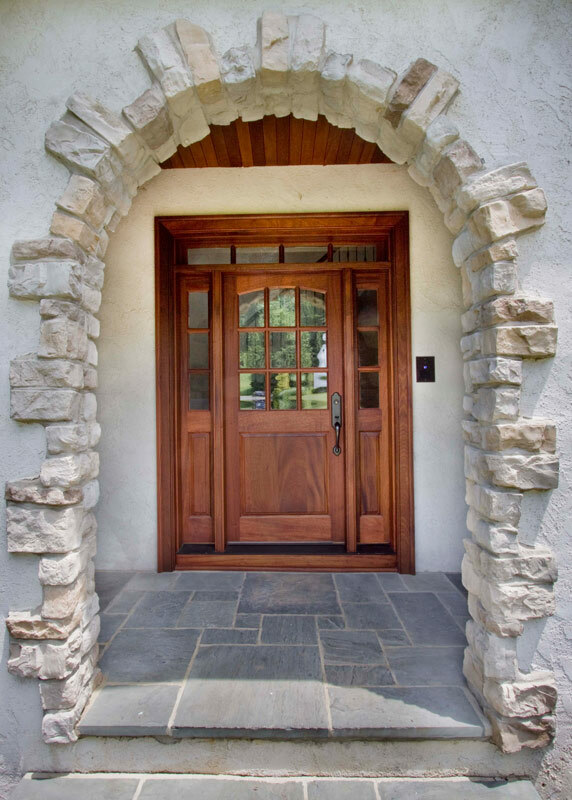 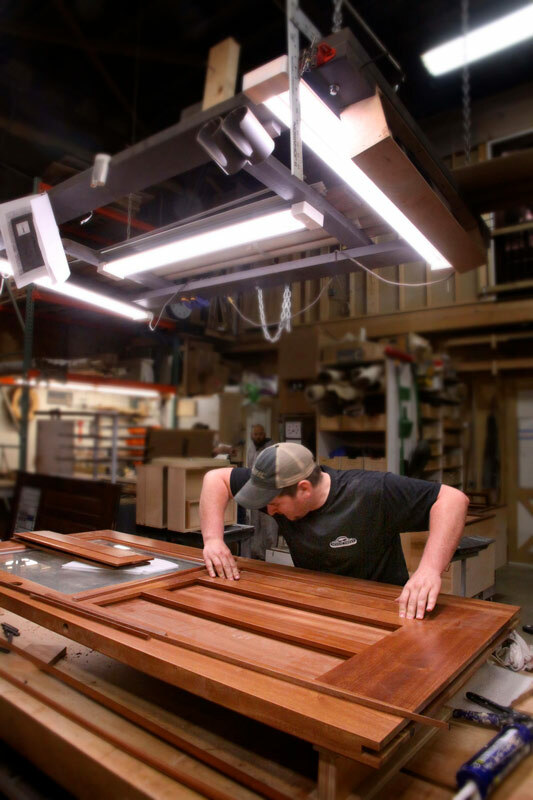 At Seven Trees Woodworking, we pride ourselves in handcrafting beautiful, quality custom exterior doors that will transform the look and feel of your space inside and out. 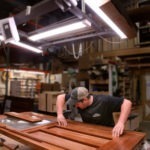 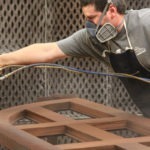 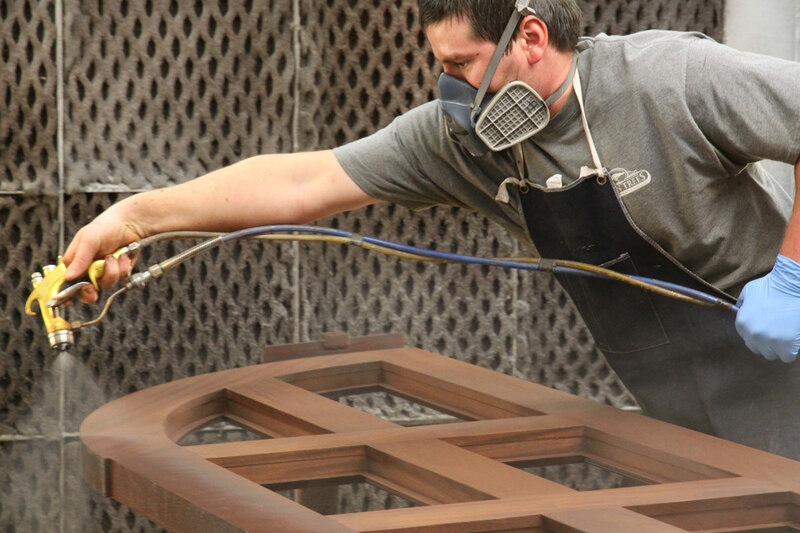 Our craftsmen have the tools, experience, and expertise to meet any design need. 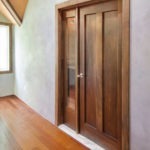 This includes the ability to achieve the authenticity and attention to detail demanded by historical renovations. 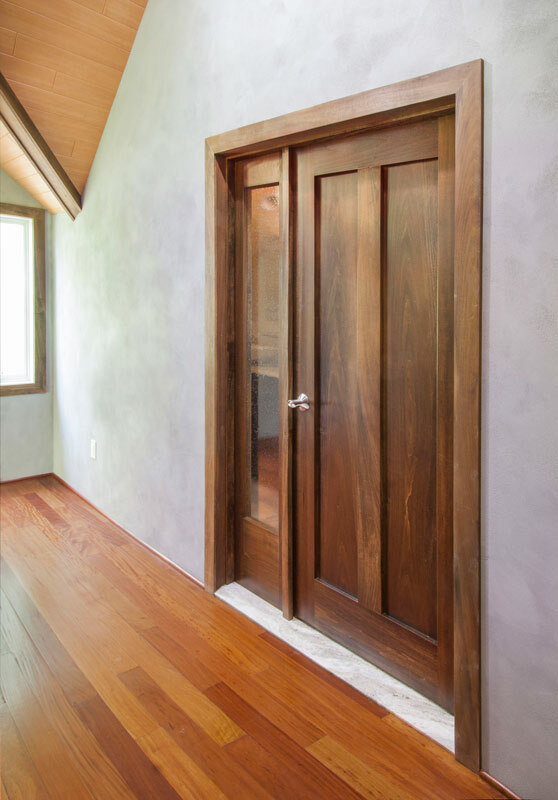 We work on both new construction projects and remodels, and we can deliver custom styles that range from elaborate old-world details to industrial-inspired minimalist styles. 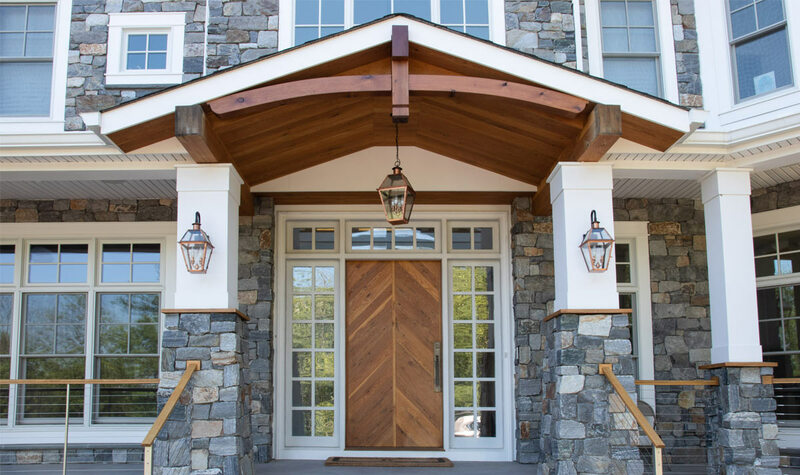 Best of all, we work with the property owners as well as designers, architects, and builders, serving as the project managers who make the process seamless and enjoyable with beautiful end results. 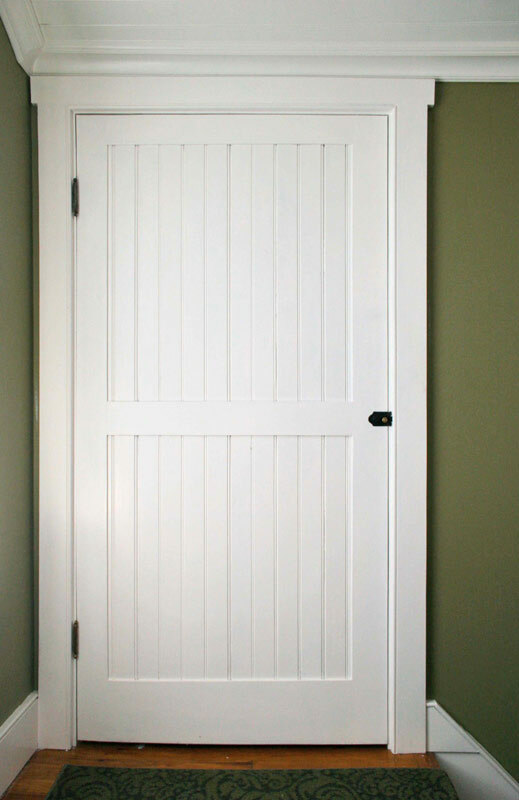 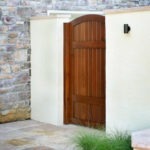 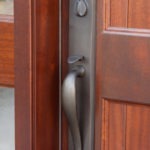 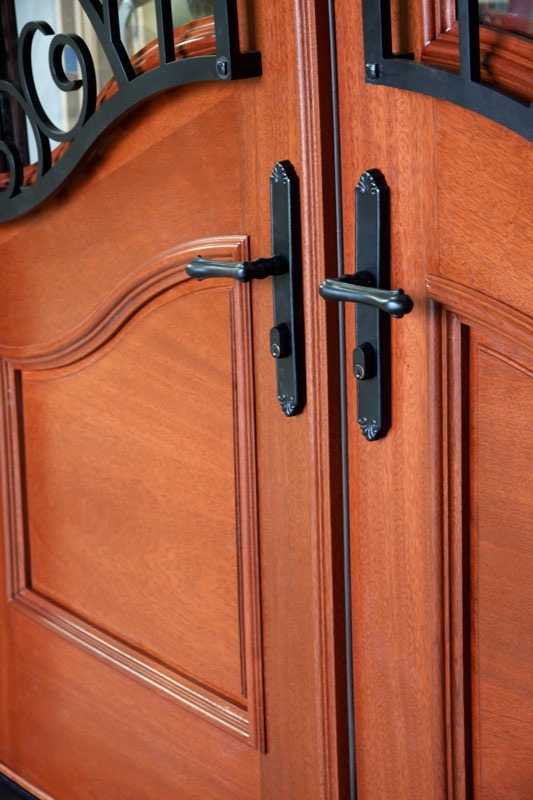 Our superior construction and joinery methods truly put the quality of our doors in a category all their own. 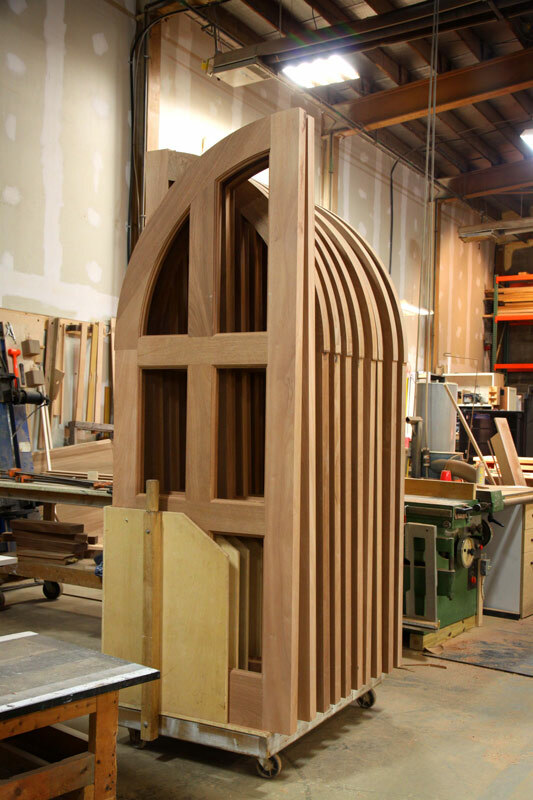 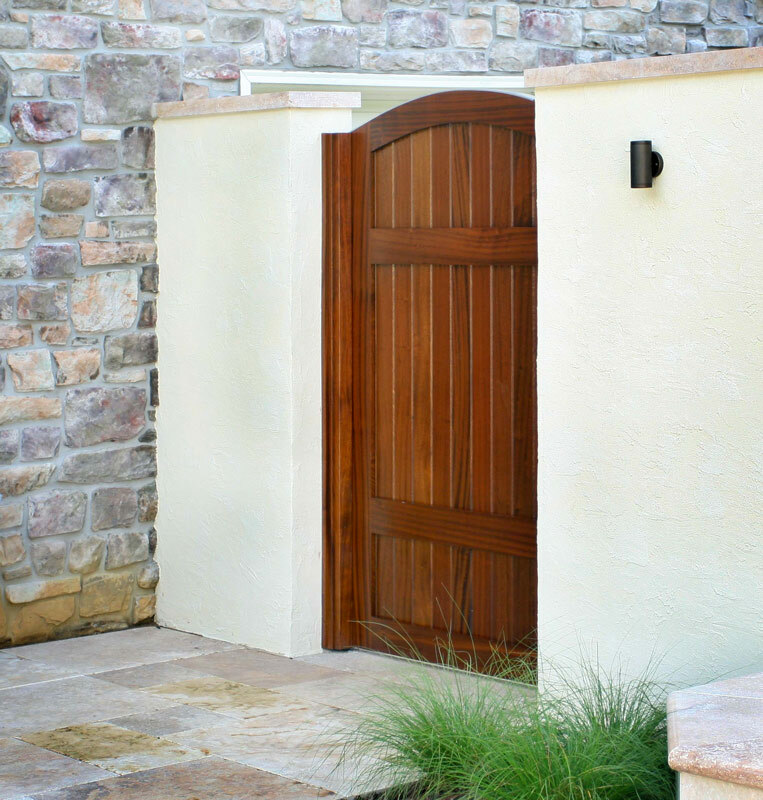 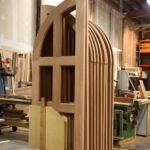 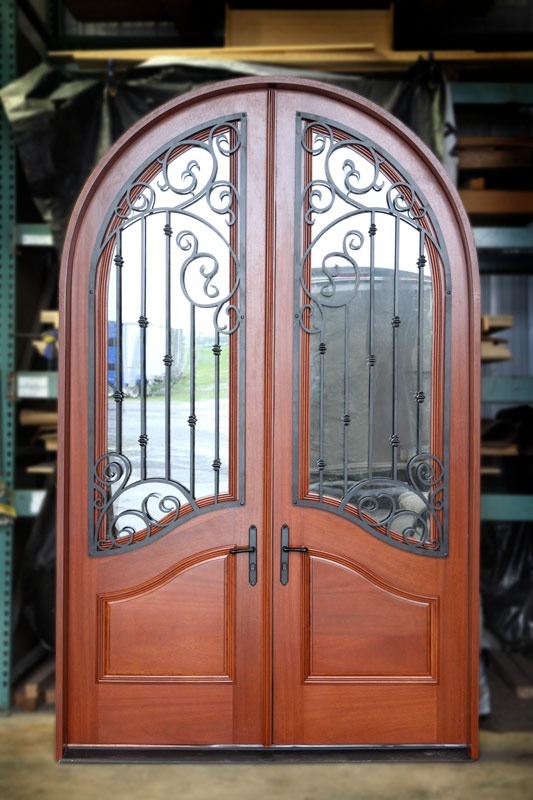 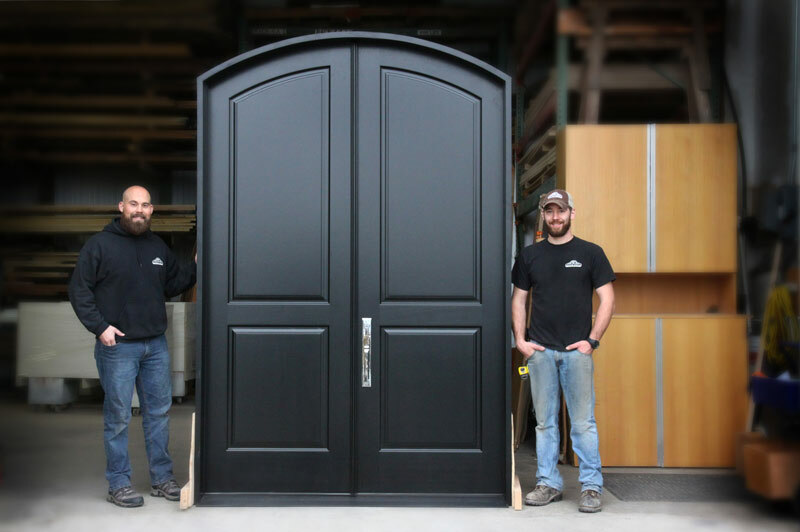 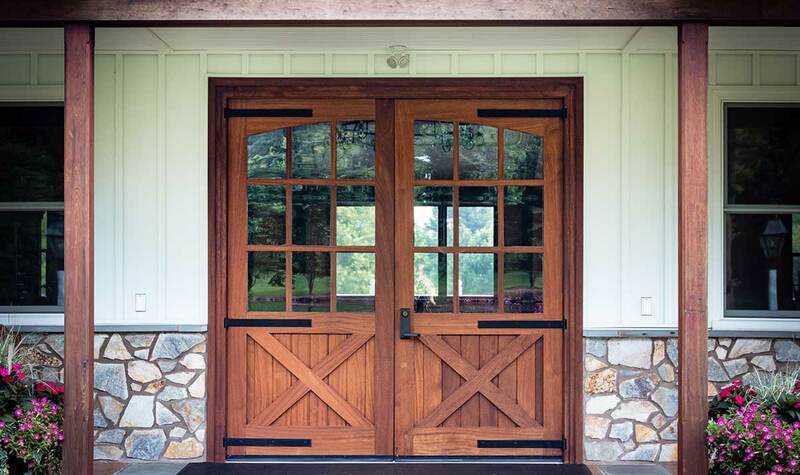 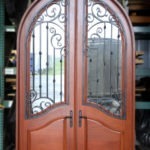 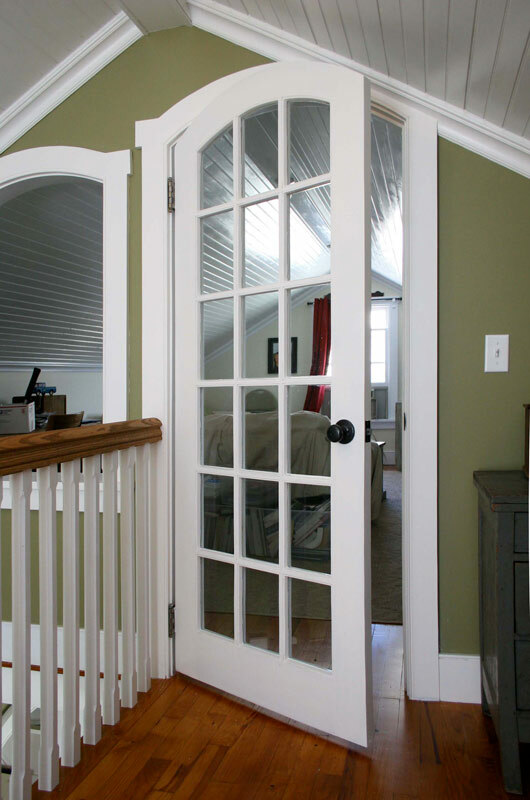 Most of our custom exterior doors is constructed using two 5-inch long by 5/8-inch diameter dowels in each rail, far exceeding the industry standard. 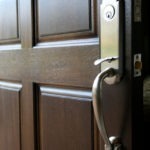 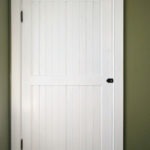 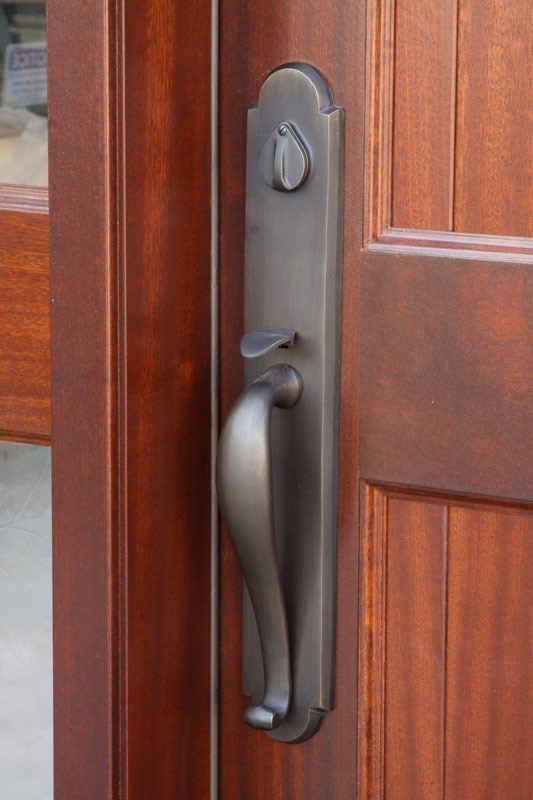 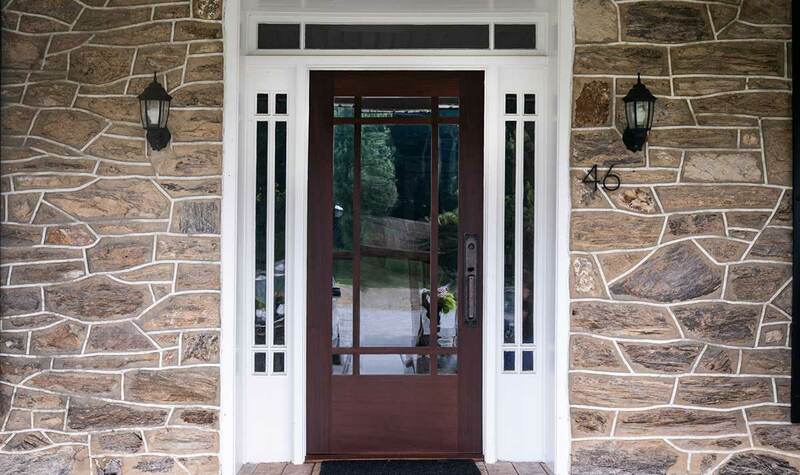 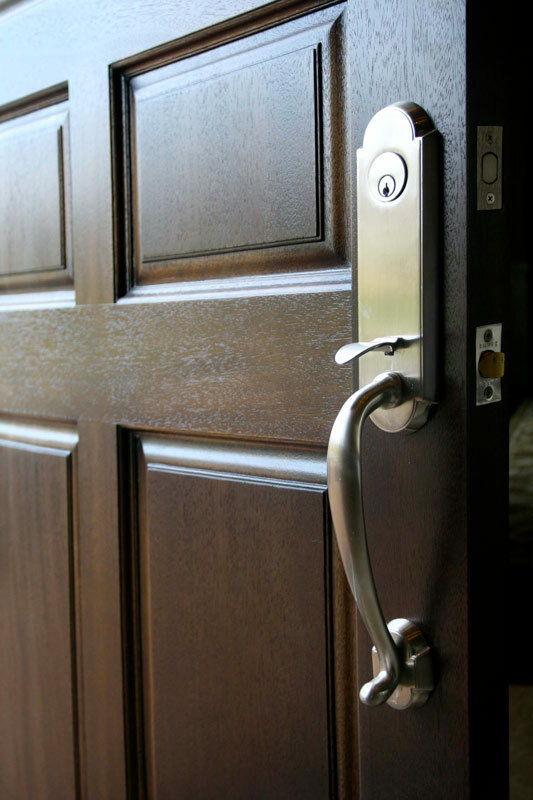 It’s the size and length of the dowel joint that gives a door its structural integrity, a critical need when considering the safety and security required from your exterior doors. 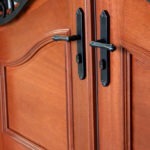 In addition, we offer upgraded Mortise and Tenon joints. 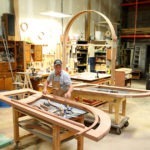 This method lends more glue surface area compared to others, making the fit that much stronger. 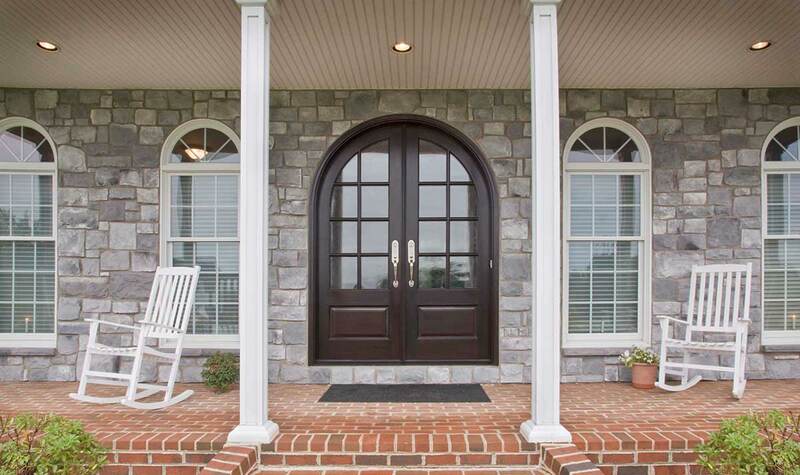 No matter what style of door you choose, our doors provide a level of quality you can see and feel. 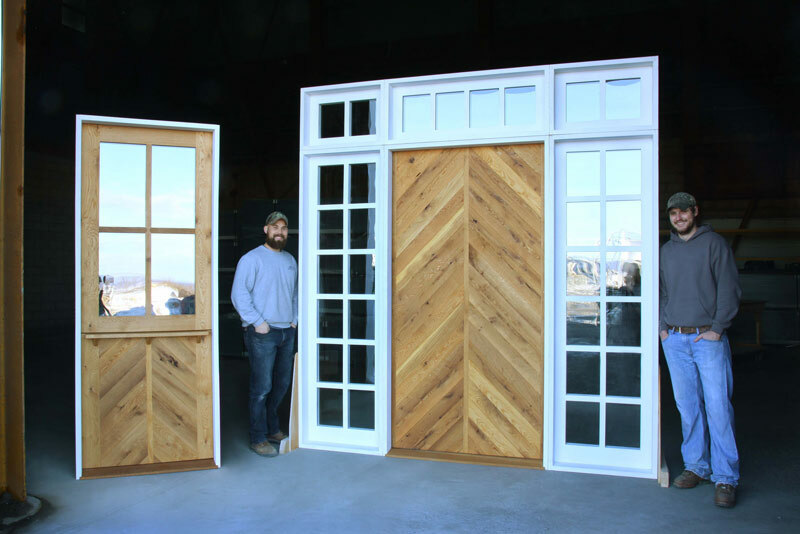 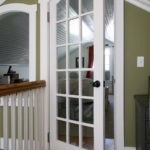 A Seven Trees Woodworking custom exterior door is an investment you’ll enjoy every time you enter your home, so let’s work together to create a custom door that adds beauty, style, and value to your home. 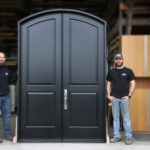 We deliver and install doors throughout the Mid Atlantic region, and we ship our custom doors nationwide for installation by your contractor. 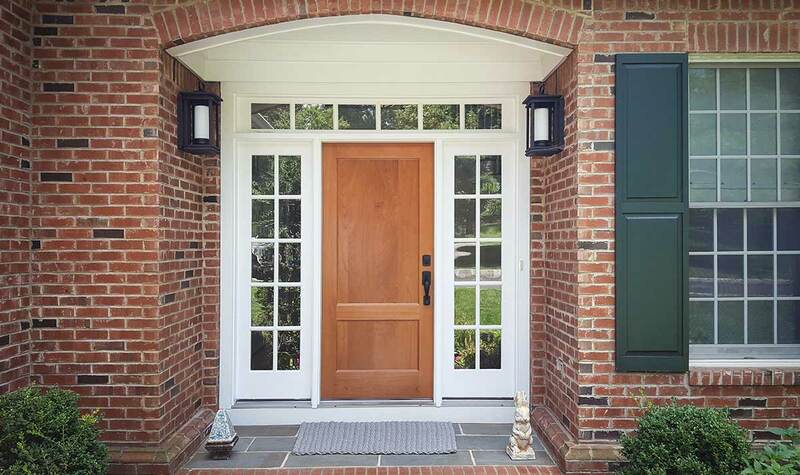 Contact us to learn more and get started.